We've been busy filling those empty spaces on the shelves with more board games. And more we have. New from Blue Orange Games is Queendomino, a follow up to Kingdomino a recent winner of the Spiel des Jahres award. 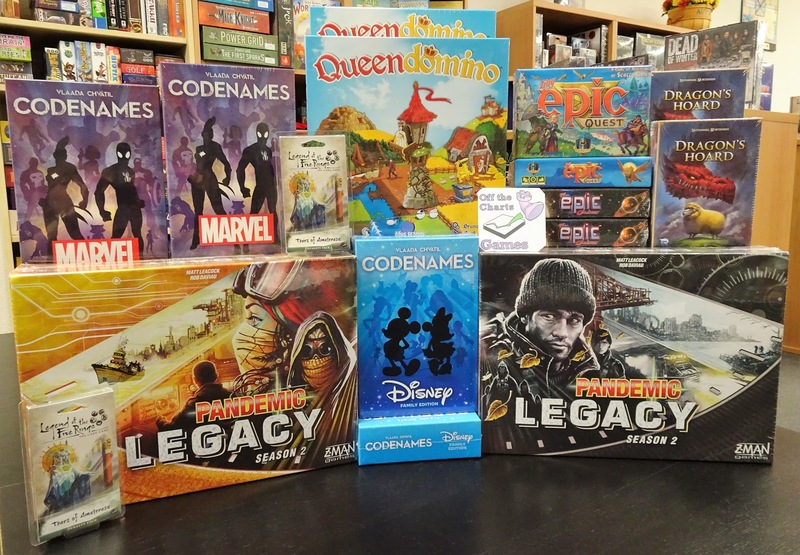 Queendomino is a stand-alone game for 2-4 players. Additionally, it that can also be combined with Kingdomino to take the game up to 6 players and/or build bigger kingdoms. 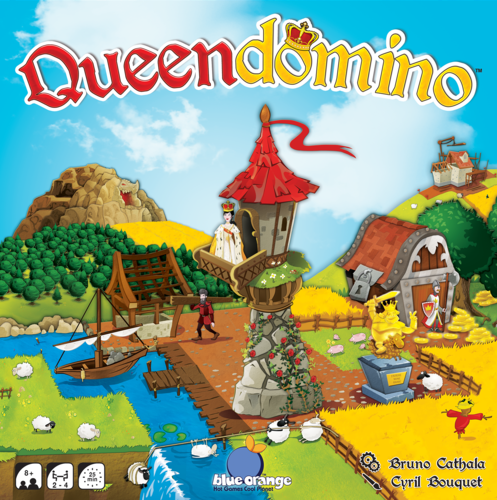 In Queendomino each player will build a kingdom consisting of different types of kingdom tiles placed in a 5x5 grid. 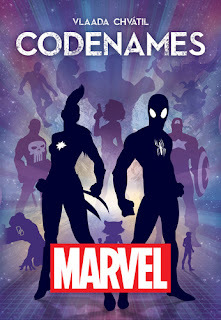 Players earn points by strategically selecting dominoes for their kingdoms, and then matching and connecting them to form different territories. Each domino has 2 terrain squares, and a territory is a group of matching terrain squares that are connected horizontally or vertically. Territories only earn points if they include at least one crown. Players can also earn points by buying buildings for towns in their kingdoms, and placing them on open construction squares. By placing buildings in their kingdoms, players reap bonuses immediately, during future turns, and/or at the end of the game. The more connecting terrain squares, point-earning crowns, and building bonuses a territory has, the more points players receive at the end of the game. 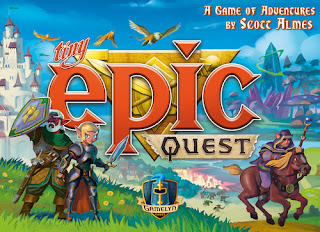 Tiny Epic Quest is the newest in the Tiny Epic series. Tiny Epic is a series of small box board games that pack a big punch. They will feature easy ease of entry and high strategy. All playing in 30-45 minutes. In Tiny Epic Quest, players will embark on a grand adventure of courage and glory. A once peaceful world has been torn asunder by an army of goblins invading from beneath the land's crust. It's up to the players to prove their valor through slaying goblins, learning ancient spells, completing quests, and acquiring powerful items that equip right to your meeples. New from Renegade Games is Dragon's Hoard, a fantasy card game for 2-4 players with the coolest artwork. 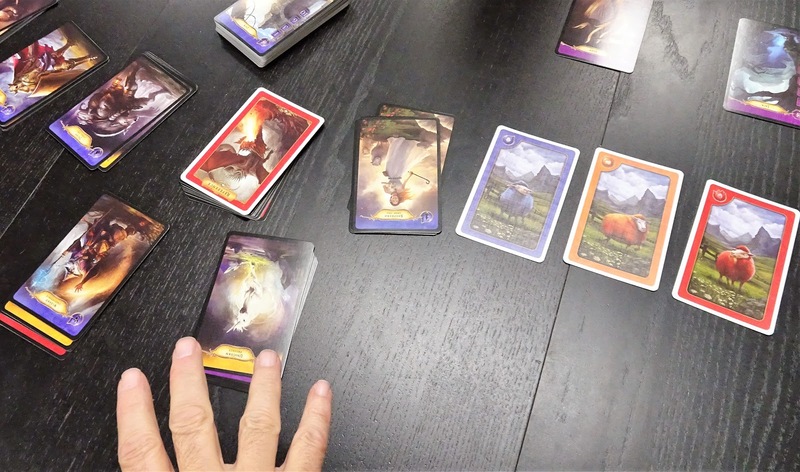 In Dragon's Hoard each player plays a dragon hunting for treasure. 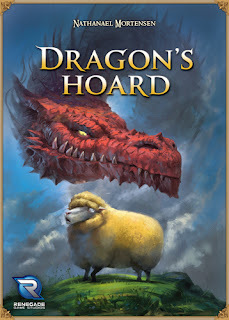 Collect sheep from the farmer's fields and use them to buy treasures, but watch out! Other players will send angry mobs and wizards your way to stop you. Defend yourself and battle your way to riches. 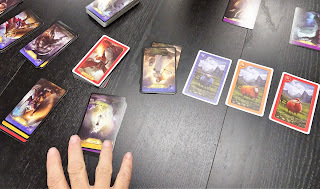 At the end of the game, the player with the most victory points from treasures and bonuses wins the game. Codenames Marvel is the newest in the award-winning Codenames line from Czech Games Edition. locations of the Asset Cards their team is trying to find. 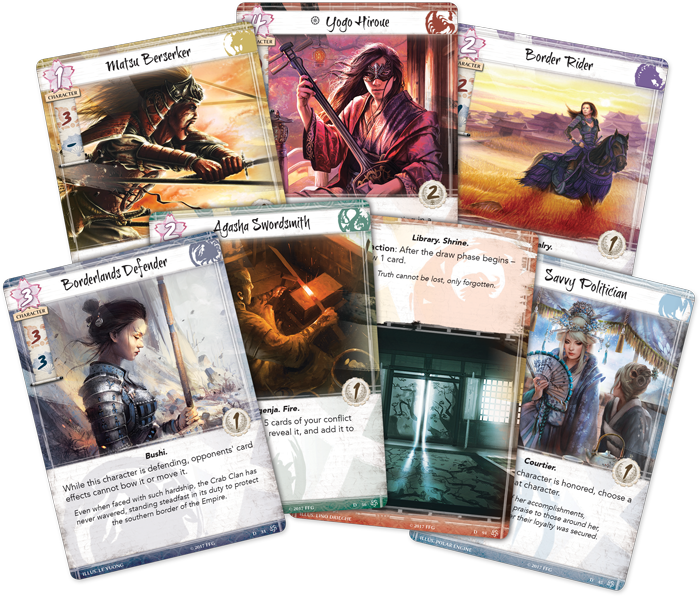 Tears of Amaterasu is the first expansion pack for the base game Legends Of The Five Rings: The Card Game. 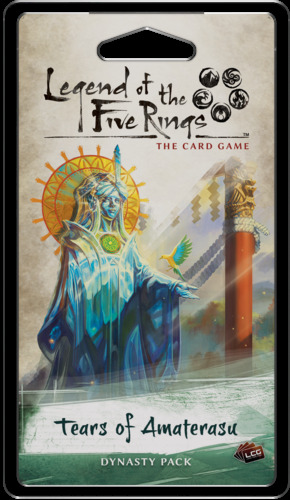 Tears of Amaterasu is a dynasty pack that contains 60 new cards (cards 1-20 of the Imperial cycle).